The United Arab Emirates enjoys a business-friendly atmosphere and a thriving entrepreneurial scene, the country provides investors with various investment opportunities. The commercial hub and economic capital of United Arab Emirates is Dubai. It is also one of the most important business hubs in the Middle East. Dubai is celebrated for being a city of opportunity; it offers an encouraging economy for business investment. According to latest reports, Dubai ranks as the number 1 city for lowest corporate tax rate globally. Business investment opportunities in Dubai are various and bountiful. If you want to start up a new business, Dubai is a perfect choice as it only takes eight days and six procedures to start a business in the city. If you want to expand on an already established business, what better place to do that than one of the most prime business hubs in the region. One of the great places for business in Dubai is Al Muhaisnah. Al Muhaisnah is a highly populated area in Dubai. 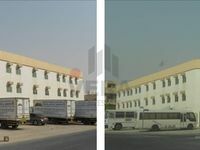 Located in eastern Dubai in Deira, Muhaisnah comprises four sub-communities: Madinat Muhaisnah (or Muhaisnah 1), Muhaisnah 2, Muhaisnah 3 and Muhaisnah 4. Al Muhaisnah lies in a strategic location in Dubai, it is bordered by Al Qusais, Al Twar, Al Mizhar and Mirdif. Madinat Muhaisnah and Muhaisnah 2 are bounded to the west by Sheikh Mohammed Bin Zayed Road and to the east by route D 56. Muhaisnah 3 and Muhaisnah 4 are bounded to the west by Al Rashidiya Road. This makes Al Muhaisnah a very well-connected area in Dubai, and gives commercial for sale in Muhaisnah a great access to all of Dubai. Home to more than 90,000 residents, Muhaisnah is the most populated area in Dubai. This adds to the popularity of commercial for sale in Muhaisnah. Al Muhaisnah may be a very populous area, but it still offers the great infrastructure, great amenities and excellent facilities that Dubai is renowned for. The area also houses good hotels, great schools, medical facilities, numerous restaurants and cafes and beautiful public parks. You can find all types of commercial for sale in Muhaisnah, from business spaces and offices, to retail units, to spacious warehouses. Commercial for sale in Muhaisnah offer good value for money as they are generally reasonably-priced. Why buy a commercial property in Muhaisnah? Commercial for sale in Muhaisnah are a great investment. They provide you with first rate commercial property in a good area with close proximity and great access to all of Dubai. Commercial for sale in Muhaisnah are also a great choice as the area is highly populated. And last but not least, commercial for sale in Muhaisnah come at an affordable price, providing you with good value for money. 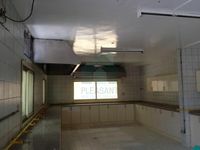 All in all, commercial for sale in Muhaisnah are an ideal investment.